This page provides useful links for any Austin 1800 owner. Please see Workshop - Parts page. 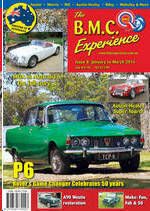 BMC Experience Magazine, Current issue. Details at The BMC Experience web site.